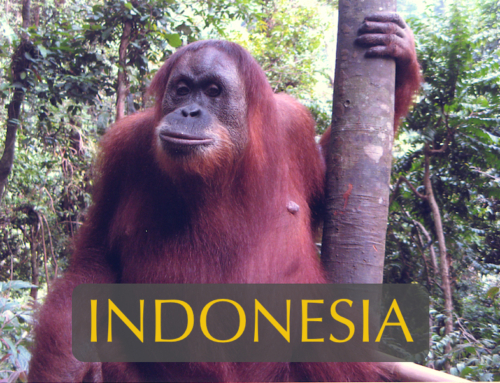 The Molucca Islands, straddling the Equator between Sulawesi and New Guinea, are a naturalists dream. 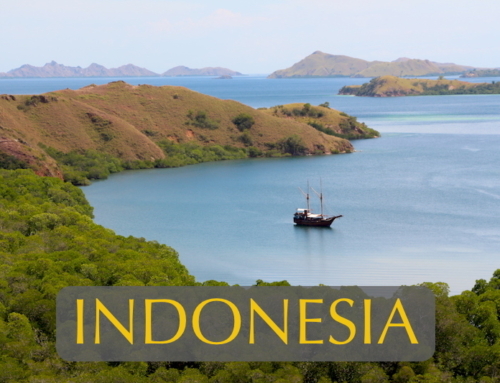 These are the fabled “Spice Islands” that once launched countless ships from China, Arabia and Europe in search of nutmeg, cloves and mace – the world’s most coveted spices that grew here and nowhere else. Equally unique is the island’s fauna that resemble species from both Asia and Australia. Cassowary, cockatoos and marsupials like cuscus are among the Australian fauna found here along with many brilliantly colored species of parrots, lories and lorikeets. Our “Amazing Moluccas” study adventure takes students well off the beaten path to discover some of Southeast Asia’s most intact ecosystems. 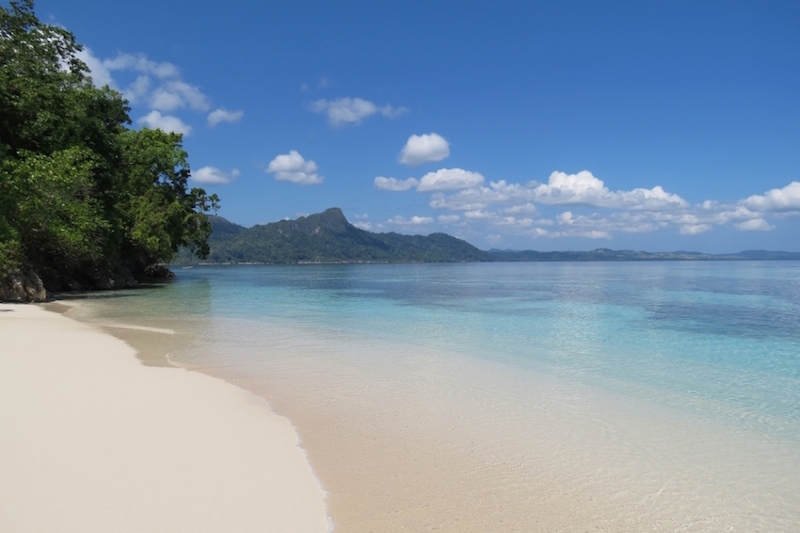 Seram Island, the second largest of the Molucca’s 100+ islands, will be our focal point. Here adventurous students will experience the “Seven Wonders of Seram”: 1) the world’s richest coral reefs, 2) sea grass beds that support dugongs, the marine mammal that gave birth to the myth of mermaids, 3) mangrove forests and rivers that still support estuarine crocodiles, 4) pristine lowland rainforests with massive trees and staggering biodiversity, 5) tropical forest birds unique in the world, 6) animal species representing two continents – Asia and Australia, and 7) Alifuru indigenous peoples that climb liana vines and move through the forest canopy like real life “Avatar” characters. There will, of course, be much more to this adventure than study. In addition to hiking, boating, swimming and snorkeling, students will take part in several service projects. They will assist a tropical bird rehabilitation center in their efforts to return birds stolen for the pet trade back into the wild. They will assist the Alifuru indigenous community with their cultural tourism efforts as well as offer assistance to a number of local schools. The Moluccas are not the easiest place in the world to get to, but the old axiom holds true – the more difficult it is to reach a destination, the more reason there is to go there. Students lucky enough to do this trip will know why it’s called “amazing”. 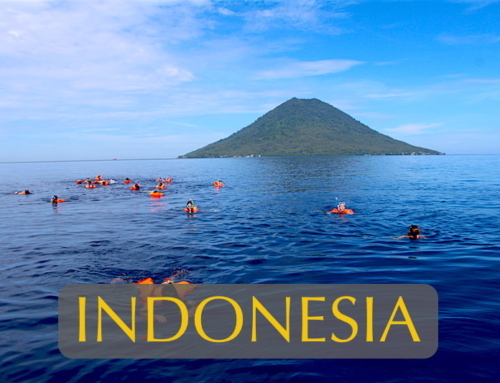 * Student groups arriving from Jakarta can fly direct to Ambon the same day, and travel straight through to Seram Island by boat if they choose. This will give more time for local service projects on Seram. * Groups arriving from Kuala Lumpur on Air Asia can fly to Makassar, tour historic Fort Rotterdam and spend a night at an ocean side resort before flying to Ambon on Garuda at 6:00 am the next morning. * Groups arriving from Bangkok can fly to Jakarta, overnight at a transit hotel with a large swimming pool and fly to Ambon early the next morning. Arriving in Ambon, students will be greeted at the airport and transferred to the deluxe Aston Hotel for a trip orientation session. 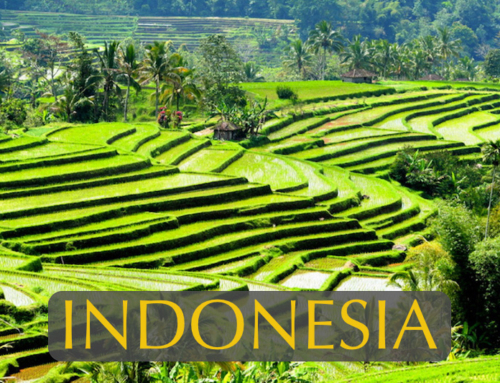 We will then set off to explore some of the spice plantations for which the Moluccas are world famous. The history of the spice trade and the role nutmeg, cloves and mace played in world discovery should prove a fascinating subject for students. A visit to a village elementary school will provide opportunities for international school students to offer lessons in world geography, English language skills and share cross-cultural songs and games with these delightful Moluccan children. After dinner, students will have a briefing on the fascinating geological, biological and human history of the Moluccas, the legendary “Spice Islands”. 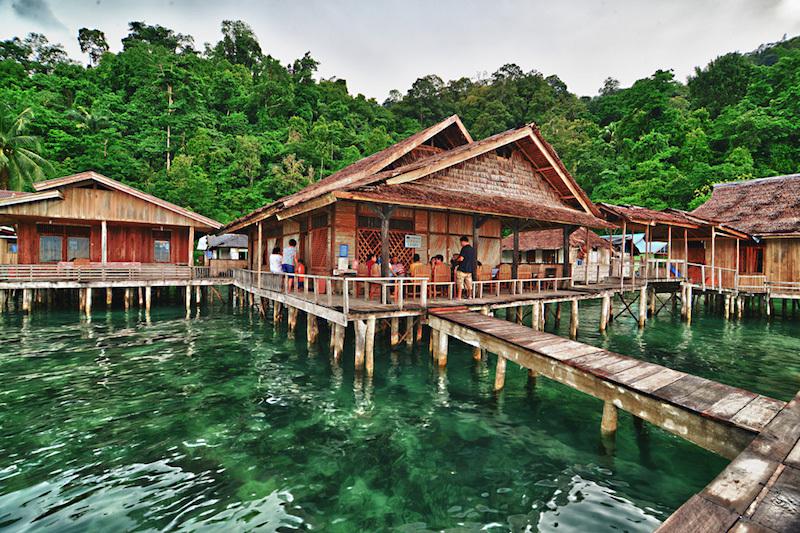 After breakfast at our hotel, we catch the 9:00 am ferry to Masohi on Seram Island. Traveling aboard the local ferry we will have opportunities to meet some of the warm and friendly people of the Moluccas. Arriving in Masohi at 11:00 am, we enjoy lunch before driving 3-hours by charter vans through the spectacular mountain scenery of Manusela National Park. 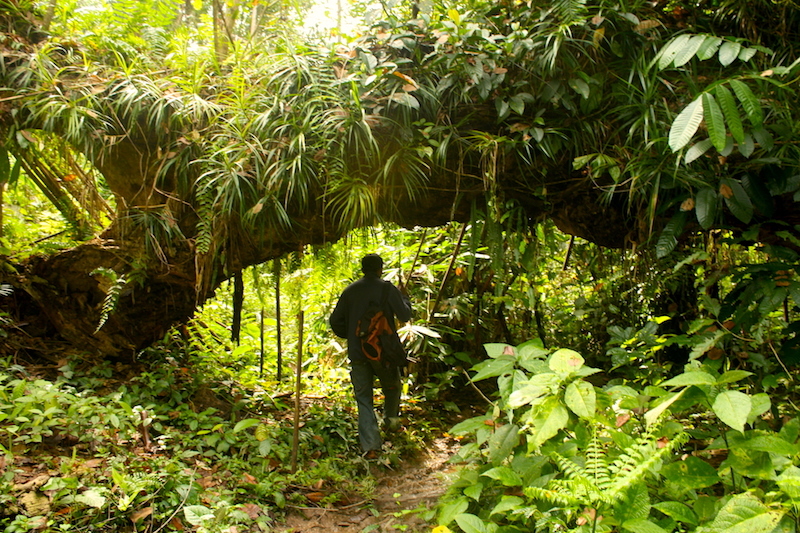 Students will see with their own eyes distinct vegetation zones as we ascend from the lowland forest into the montane forest dominated by tree ferns and enter the edge of the cloud forest where dwarf trees are perpetually bathed in moisture. 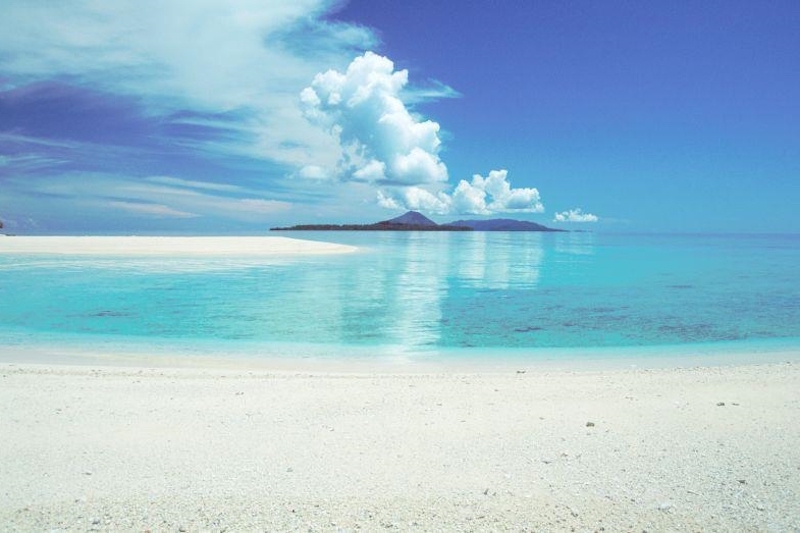 We will get out of the vans and walk a bit once we reach the northcoast of Sarem Island. Our five-km hike will take us along a little traveled road that passes through tropical rainforest, mangrove forest and beach forest. Our destination is the remote and charming Muslim settlement of Sawai, perched on the edge of the sea and backed by jungle-clad mountains. As we pass through the village, everyone living along the narrow lanes between the houses will greet students warmly. Our rustic lodge is located at the far end of the village proper, set out over the waters on pilings and surrounded by coral reef gardens. It is like sleeping above a natural aquarium as many species of fish and squid swim about the corals and sea grasses in the crystalline waters. Dinner this evening will feature local delicacies and be followed by a formal welcome to this remote and rarely visited village. We set off early this morning, right after breakfast, on a trek through the forest behind Sawai Village to spot birds in the rainforest at the time of day they are most vocal and active. 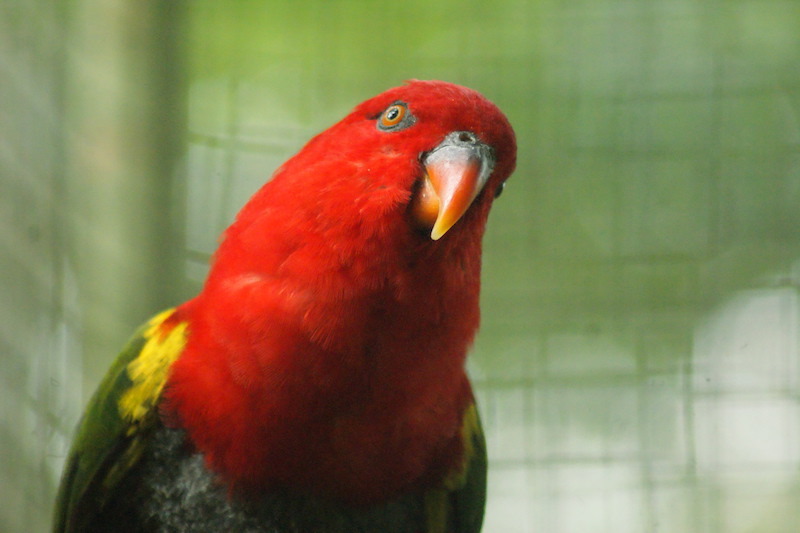 Brilliantly colored lories, parrots, cockatoos, hornbills, kingfishers and lorikeets abound in the Molucca Islands that act as a transition zone between the species of Australia and Southeast Asia. Seram Island is the only home of the spectacular Seram cockatoo with its gorgeous creamy pink plumage and salmon-colored head crest. It is one of the world’s most expensive pet birds selling for more than $30,000 and a species that has rarely been photographed in the wild! 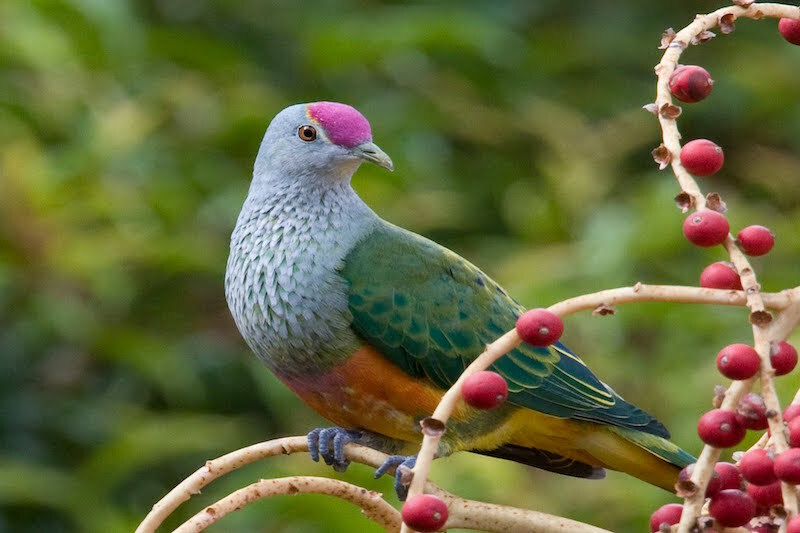 Other species native to Seram Island that we may have the good fortune to see include the Blue-eared lori, Rainbow lorikeet, Purple-naped lori, Long-crested myna, Double-wattled cassowary, Moluccan king parrot, Great-billed parrot, Eclectus parrot and Pink-headed imperial pigeon. 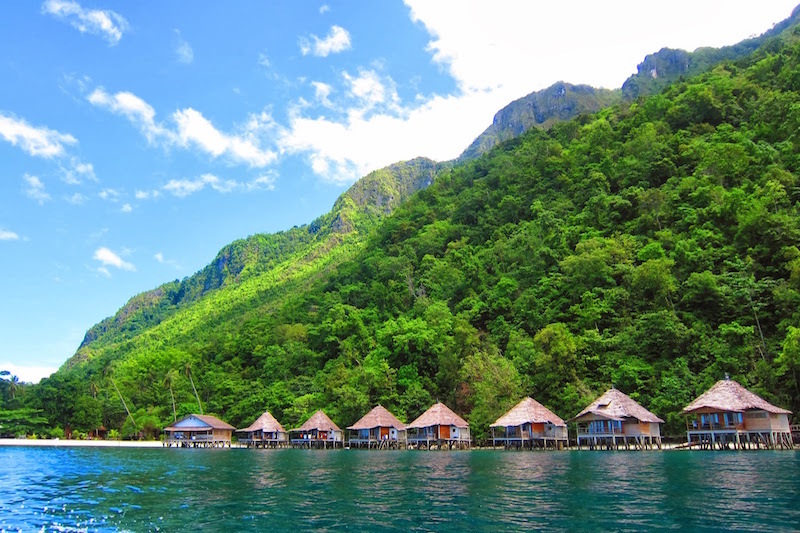 Returning to our lodge, we pack our bags and a picnic lunch and set off by longboats for an afternoon of snorkeling and swimming at the spectacular powder-white beach of Ora Beach Resort. Cruising along the north shores of Seram Island on the way to our lodge we pass towering limestone cliffs clad in jungle vegetation. Falcons patrol the cliff faces here in search of bats while huge black eagles glide above the forest canopy in hopes of snatching an unwary cuscus feeding on fruit in the treetops. It only takes 20-30 minutes to reach our lodge and its world-class snorkeling site. 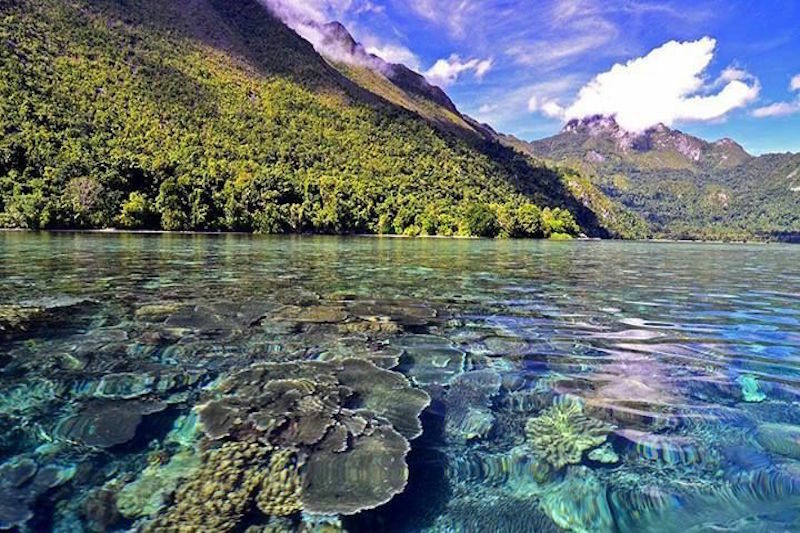 The marine waters between Sulawesi and New Guinea are the richest tropical seas in the world for coral growth and we will have the good fortune to snorkel at this epicenter of marine biodiversity. Later in the afternoon we can try our hand fishing for our dinner. The waters of the Moluccas are famous for mackerel, skip jack and tuna, but if we fail to land the big ones there’s always sea trout and other delicious fish available along the reef edges. Students not keen on fishing can boat to a nearby cave to watch ribbons of bats emerge at sunset. 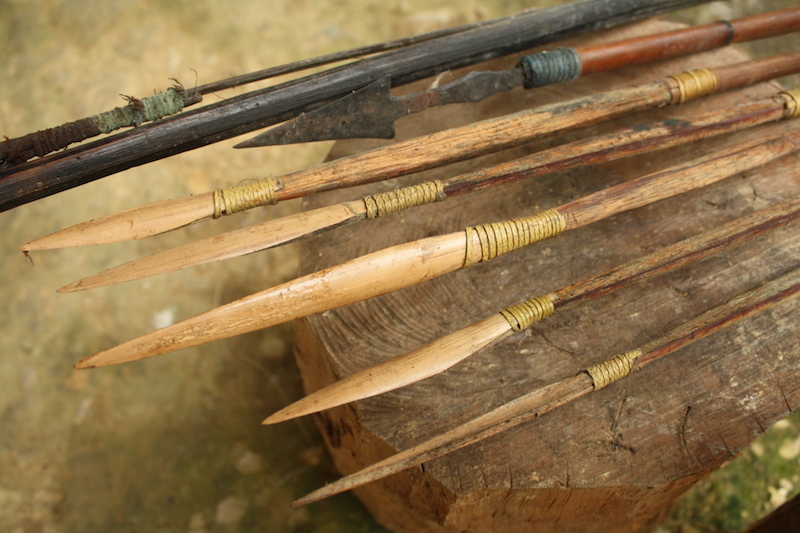 Local villagers believe these bats are the ghosts of their ancestors. Returning to our lodge at sunset time, everyone will enjoy a delicious dinner (hopefully featuring our catch) followed by a campfire on the beach. Today is a thrilling day as we leave the security of our lodge after breakfast and set off into the wilds for a night of camping deep in the rainforest. At 9:00 am we board outboard launches for a three-hour sea and jungle-river cruise. Along the way students will learn about mangrove ecology and visit a colony of flying fox, the world’s largest bat and flying mammal. We will see many seabirds and terns and with a little luck we may spot marine mammals like porpoise riding the bow wave and dugong (sea cows) grazing on the sea grasses in the shallows. After 30-minutes cruising along the coast we enter the Salawai River and see a completely different environment with nippa palms, sago palms and towering pandanus plants concealing hidden haul outs where huge estuarine crocodiles lurk. Experiencing wild crocodiles plunging into the river just meters from our boat is a thrill students will long remember. Ducks, herons, kingfishers, water monitor lizards and snakes are some of the other species we may encounter as we slowly maneuver our craft upriver. At one point along the river we will go ashore to see the indigenous Alifuru peoples of Seram Island preparing sago starch – a staple in their Austronesian diet. This will be our first lesson in several traditional forest dweller technologies this day. Approximately two-hours upriver our boating expedition ends and our hiking adventure begins. Just 30-minutes along a forest trail we come to a hidden waterfall where we enjoy a picnic lunch. Here students can refresh in the river pools at the base of the falls if they like. It’s another one-hour hike to our campsite, an idyllic location set beside a clear shallow river and backed by dramatic rock cliffs covered in jungle vines. Here everyone can refresh in the river before starting our service project. 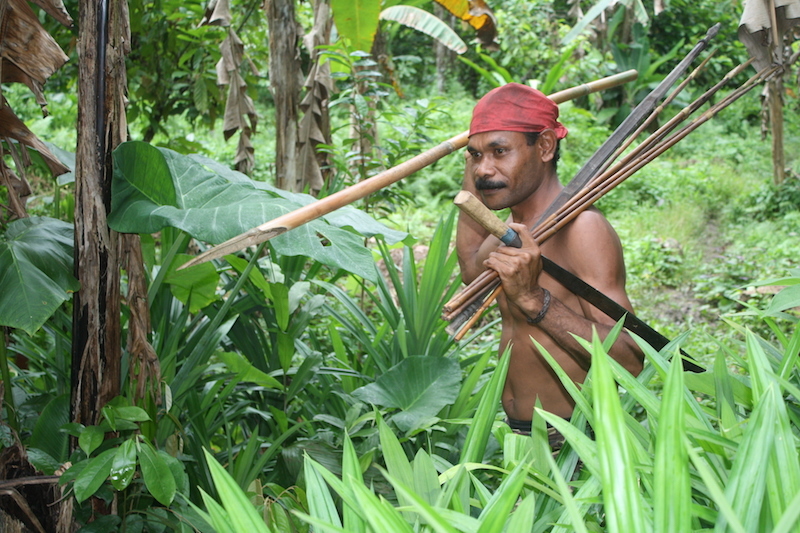 There is one jungle hut already at this site, but it is not nearly large enough to accommodate our group, so to provide a place for everyone to sleep, and to assist the Alifuru indigenous peoples with their cultural tourism initiatives, we will build a second traditional forest shelter beside the river. Most of the materials will be transported to the site beforehand to guarantee we complete our task before nightfall. Students will have hands-on lessons in setting foundation posts, lashing the frame with liana vines, setting out the bamboo or plank platform floor and roofing the structure with palm fronds. Skilled Alifuru guides will oversee every aspect of the construction and guarantee in is completed in the five-hour time frame we have before darkness falls. While the construction is underway, some students can assist the cooks preparing a traditional forest dweller meal cooked in green bamboo by an open fire. Once darkness descends after dinner we will search for river prawns by bamboo torchlight and illuminate our new shelter with ingenious lamps made by scrapping bamboo containers very thin and filling them with fireflies. 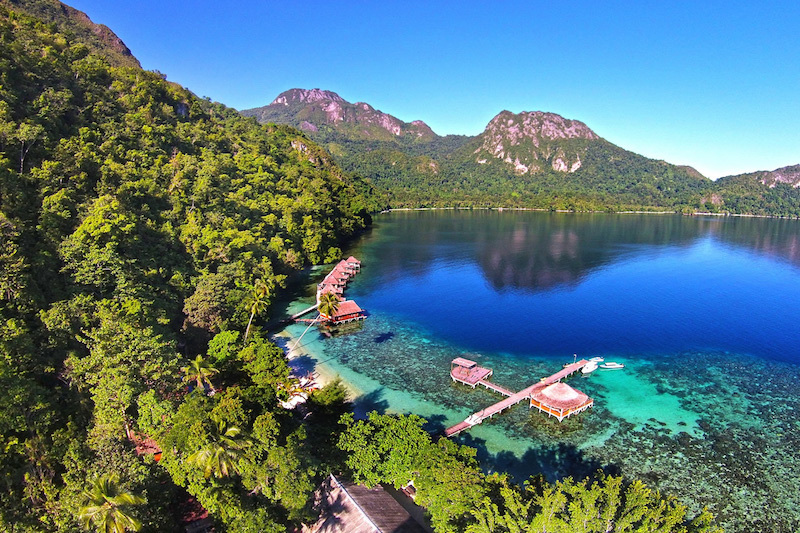 It’s Seram Island magic! At bedtime our Alifuru guides will entertain us with traditional legends about the creatures we share the forest with, cockatoos, hornbills, cassowary, cuscus, deer and wild pig. Students will one day tell their grandchildren of this adventure. 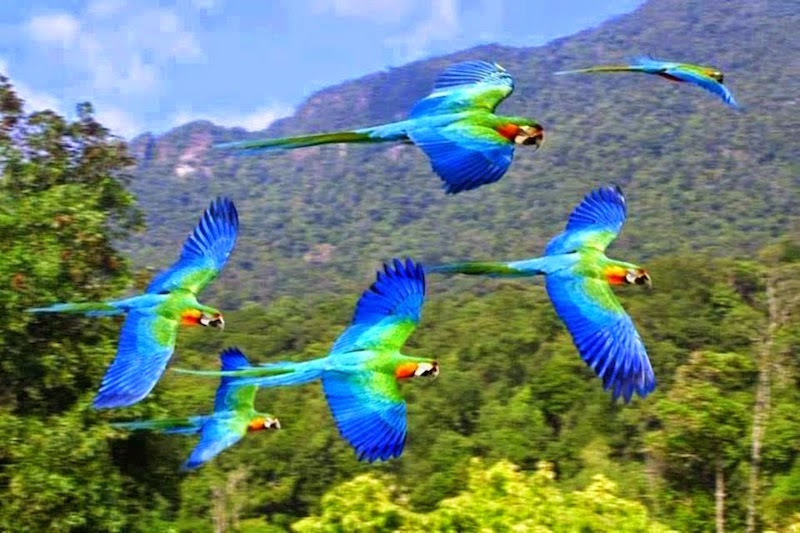 It is fascinating to wake up at first light in the rainforest and listen to the peaceful orchestration of night sounds give way to the full exuberance of a new day. The sounds of lories, parrots, cockatoos and millions of cicadas can almost be deafening. After a jungle breakfast and a wash up in the river, we set off looking for wildlife signs along a ridge top forest trek. Our expert Alifuru guides can locate wildlife simply by smell. A cuscus hidden in the forest canopy feasting on fruit or a giant cassowary working its way through the under story, never escapes their attention. 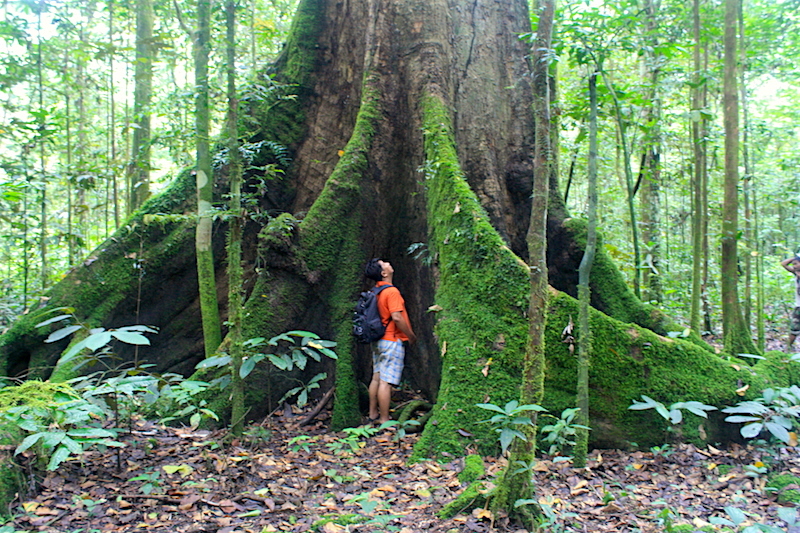 We will come across some spectacularly large trees during our hike where our Alifuru guides will impress us with their amazing climbing skills. 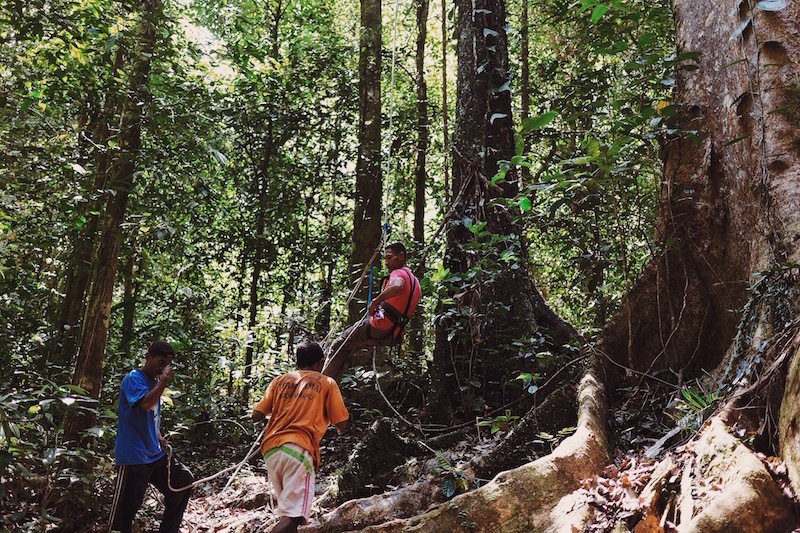 Like a scene out of the movie Avatar, these forest dwellers effortlessly climb liana vines hanging from the canopy and run along limbs 50 meters overhead. It’s extraordinary! By late morning we will have worked our way through the rainforest back to our launches for the return trip down river. Anyone that missed seeing crocodiles on the way up river gets another chance today as we wind our way back to the sea. We will stop under a beautiful grove of coconut palms near the river mouth for a barbeque picnic lunch. Our Alifuru guides will once again impress us with their climbing skills as they race up tree trunks to fetch fresh coconuts for our drinks. Not far away, we will boat out to a lovely island for an afternoon of snorkeling, beachcombing, swimming, or just relaxing in a hammock under a tree. Here students will learn about island ecology and how animals and plants on islands tend towards dwarfism or gigantisms. Returning back to our lodge in Sawai will feel like coming home again. Basic as it is, compared to our night in the jungle it will seem like a resort. Today we set off right after breakfast to hike 5km to Masihulan Village where we will visit a school and meet with families at one of several relocation sites for the Alifuru – former forest dwellers. 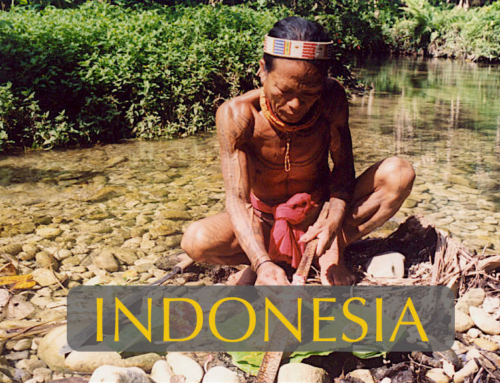 From the time Portugese missionaries first arrived in Indonesia in 1512, the Dutch followed in the 17th century and Indonesia became a nation state, there have been attempts to convert, relocate and re-educate indigenous societies with little regard for their human rights. As we have an opportunity to meet with these people and learn of the radical change in their lifestyle, students can consider the legal and moral implications of forced assimilation into mainstream societies, especially when most countries are signatories to the United Nations Declaration of Indigenous Rights. The global relocation of indigenous peoples and the UN Millennium Goal of ending illiteracy worldwide by 2015 will also be discussed this morning in a special student forum held in the shade of a tree. Just a short walk from Masihulan Village is a bird conservation project that will be the focus of our service this day. 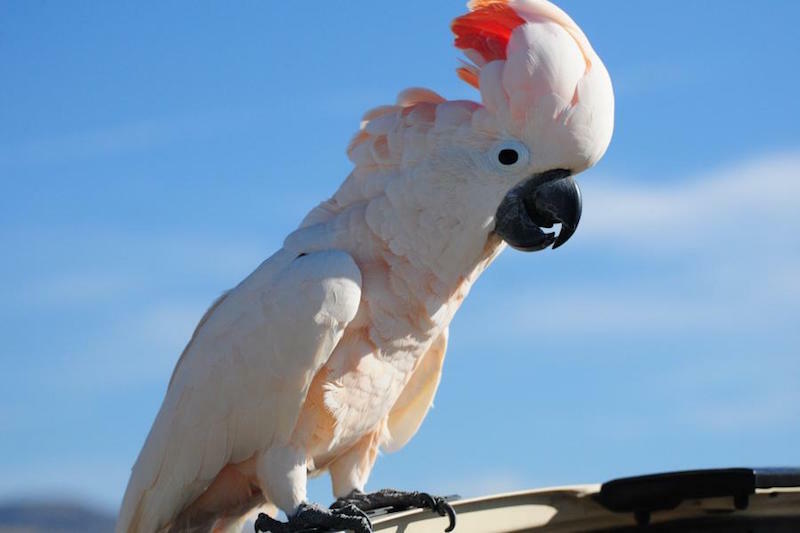 A parrot, lori and cockatoo conservation project, operated by five dedicated Alifuru volunteers, is very much in need of assistance. 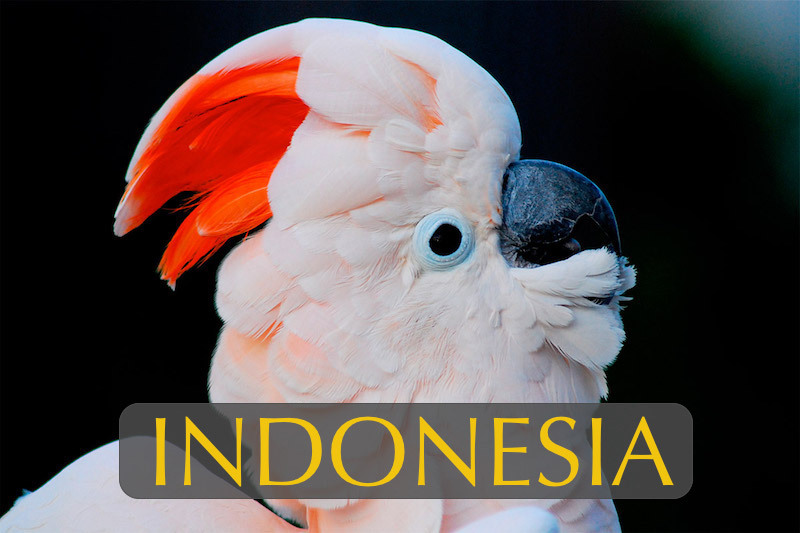 Birds from the Moluccas are some of the most sought after pets in the world. Conservation officers, attempting to curtail this lucrative trade in endangered species, confiscate birds from poachers on islands throughout the Moluccas and bring them here for quarantine, medical care and rehabilitation before they can be released back into the wild. 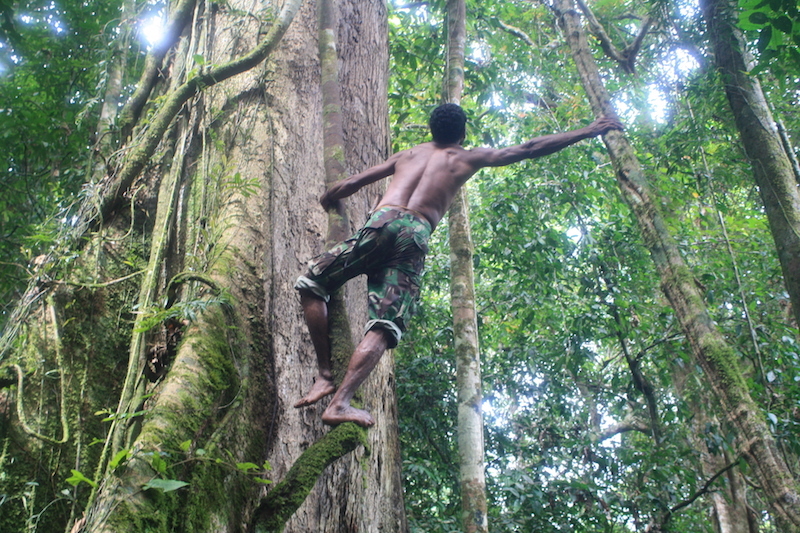 Only birds native to Seram Island can be released directly from this site, all others must first be transported back to their home islands to prevent the introduction of new species. Our efforts this day will focus on three projects with students divided into appropriate work teams: 1) cleaning and repairing cages, 2) planting papayas, bananas and other fruits necessary to feed the more than 60 birds at the center and 3) preparing a public education display on the wall of the center showing all of the islands in the Moluccas and linking them with their endemic species so visitors can better understand why their donations are necessary to transport these birds back to their home isles. Returning to our lodge in the late afternoon there will be time to swim or enjoy games and sports with the village children until dinner time. Today we travel back from Sawai Village by mini vans (3-hours) to Masohi where we will enjoy lunch before boarding the ferry at 2:00 pm for the cruise back to Ambon. Arriving in Ambon at 4:00 pm we will check into the elegant Aston Hotel- just a ten-minute drive from the ferry terminal – and enjoy the pool, beach and luxury facilities of a 5-star establishment. The contrast from our jungle hut experience a few nights earlier could not be more pronounced. After a delicious final dinner together we will hold a closing celebration. In a special candle light ceremony, students will be acknowledged for their special accomplishments and everyone will have the opportunity to share tales of their favorite experiences. 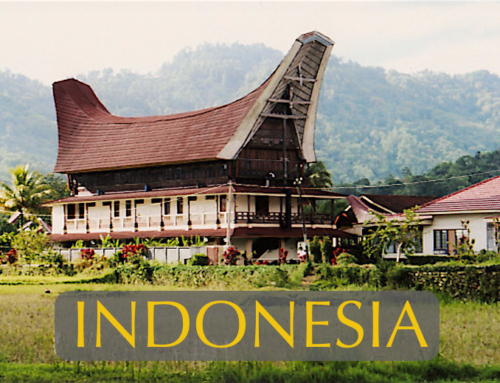 It will be a very early departure to the Ambon Airport for students returning home on the 6:00 am flight to Makassar. From Makassar there are many daily flights to Jakarta and a 4:00 pm flight to Kuala Lumpur on Air Asia.